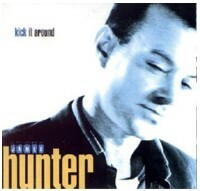 Aris de Vries introduced me to the music of James Hunter. Aris has been a fan of the man since the beginning, when he called himself Howlin’ Wilf. It always helps when friends tell me that they love certain music; I have already more music than I can listen to, so newcomers have to have strong arguments to get on my playlist. I was sure that Aris would ask me what I thought of the CD he gave me, so I close listened to it. One song in particular was picked up by my music radar immediately, I’ll walk away , but I soon loved all of it. Well, all of it means only three CD’s. 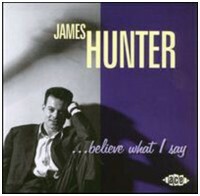 For reasons that are mysterious to me James Hunter doesn’t make two orr three CD’s each year, and he even re-recorded some of his earlier songs on his last CD ( Believe what I say ), which was made for the American market. 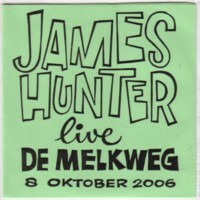 When James Hunter visited Amsterdam in October of 2006, Aris and I went to see him. The average age of the audience was 50 or so, which surprised me, because usually when I go out I am one the oldest people. If I had done a little research I would have known this, but I had just listened to the CD’s and I had no idea what to expect. 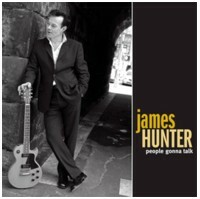 James Hunter and his band turned out to be outstanding musicians and I had a very pleasant evening. But that was not what I hoped for. James Hunter did not really turned his soul inside out that night, and i guess it had to do with the audience. Most people seem to have come for the two saxophone players in stead of for James, and I heard a little to often people shouting the wrong things at the wrong moments. After a handful of songs he had reached a point where I could clearly feel that he had to make a choice: either he gave the concert of his life tonight or he played the rest of his show on routine. He choose for the second option. This break point was in the song Don’t do it , which seemed like a self-fulfilling prophecy, because he did not do it indeed. I happened to have my mini-disc recorder with me that evening, so I can let you hear what I mean. Here is that song.